Audition Information: Cold readings of scenes from the play, which will be provided at audition. Roles are for six men and three women. Please be prepared to stay through entire audition time. Brighton Beach Memoirs will be presented in the Naked Stage format with actors seated on stools and using music stands for their scripts. Memorization is not required. Rehearsals will be Tuesday and Friday mornings beginning May 3. In Brighton Beach Memoirs, we met the Jerome family. Broadway Bound takes place a few years later: Eugene and his older brother Stanley are dealing with their parents' relationship falling apart as they work together toward being comedy writers for radio, and, eventually, television. Mom's socialist father has moved in with them; her sister, Blanche, has found love and wealth. Jack says he is working late a lot. The play received four Tony Award and Drama Desk Award nominations. The Village Theatre in Danville invites performers to sign up for their Senior Variety Show. ​Enliven a meeting or program with a theatrical piece performed by our experienced actors. Funny or poignant, these scenes run about 10 minutes. There is no charge for this service, but requests must be made five weeks in advance of event. ​Enjoy a rousing evening of songs from American classic, Oklahoma! Date to be announced. Entertainment and refreshments. The DAOR board of directors created the Scholarship for Theatre Arts in 2009 to honor Jean Wilcox, a founding member of DAOR and its first artistic director. She also served as its president from 2009 to 2011. A native of England, where she received drama training at the London School of Drama, Wilcox immigrated to the Bay Area in 1962. She has received a Best Actress Shellie Award for her portrayal of the title character in “Shirley Valentine.” Under the auspices of the Walnut Creek Civic Arts program, she taught Shakespeare to incarcerated youth at Juvenile Hall in Martinez. In 2018, the Jean Wilcox Scholarship, a $3,500 award, was presented to Allen Darby, a first-year student in A.C.T. 's MFA program. Allen is a graduate of the University of Southern California with a bachelor of arts in theater arts and a minor in musical theater. He is also a graduate of the British American Drama Academy in London. On-stage experience includes playing roles with a number of Bay Area theater companies, including Berkeley Rep, San Francisco Playhouse and Marin Shakespeare. 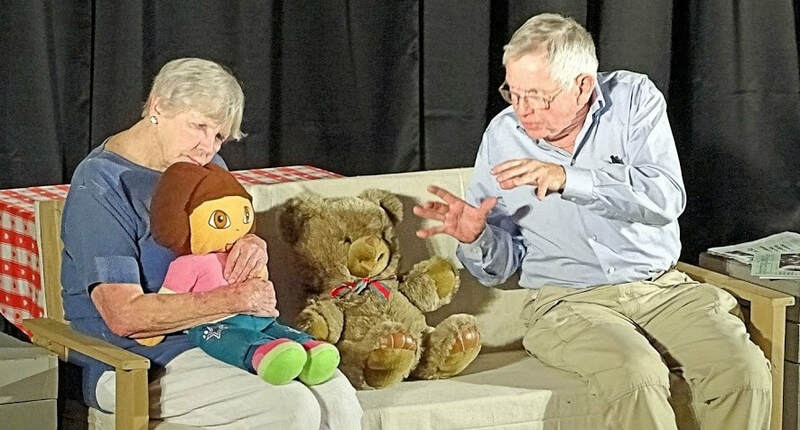 ​Berkeley Repertory Theatre docents discuss current productions five times per year. For information on the docent program, call Barbara Vojta, (925) 278-1637. A review of what DAOR did the past year and what is planned for the new year. And, a few laughs, a few games, preview of classes, and a chance to give input to help DAOR reflect interest and needs of members.